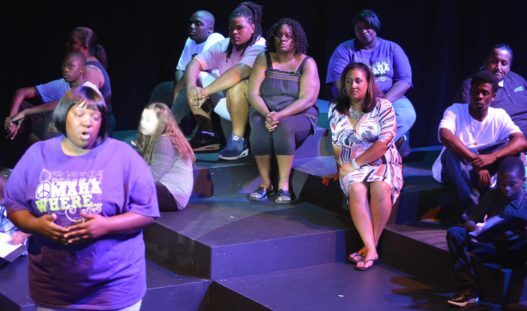 In the summer of 2015, The Rose Theater, The Sherwood Foundation and Impact One teamed with renowned actor, writer, director and activist Daniel Beaty to create a one-of-a-kind performance piece that directly addressed the devastating impact of gang violence in our community. This project launched ongoing outreach into the community, using theater as a means to address challenging topics. Today, The Rose Theater works with young people in the community each year to shine light on a topic affecting families in the area. The Rose Theater’s outreach projects use the tools of creativity, writing, storytelling and acting to help people talk about different topics and bring about change in our community. I Dream of an Omaha Where…. Performed by current and former gang members and victims of gang violence together on one stage, I Dream of an Omaha Where… was created from the personal stories of those most affected by gang activity in Omaha. The result was a powerful, compelling and intense experience that greatly impacted audiences throughout the metro area and beyond. Omaha has a long-standing problem with gangs and youth-on-youth violence and is one of the most dangerous cities to live in for African American youth. I Dream of an Omaha Where . . . was a collaborative project involving former gang members and people who have been affected by gangs. 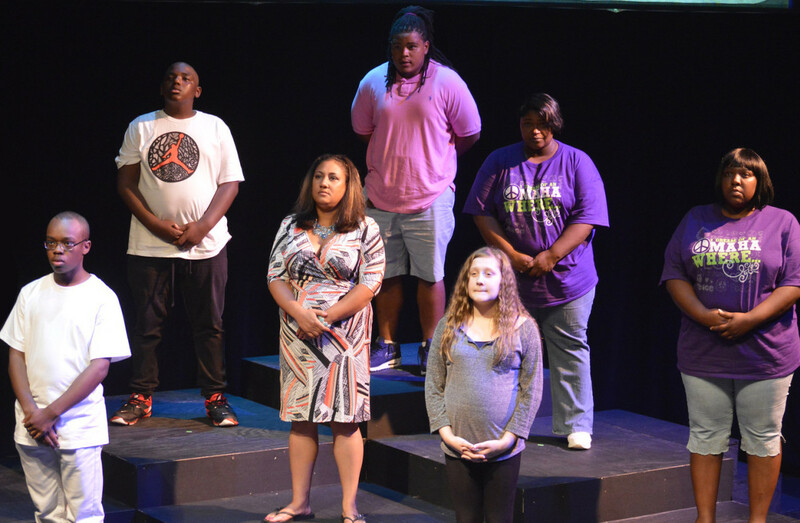 The project, moderated by nationally known performer and writer Daniel Beaty, took the participants through intense and moving workshops to a performance of a play which utilized the transcripts of the workshops. The ‘I Dream’ project was a transformative experience for those sharing their stories, and is also changing the dialogue in Omaha and similarly affected cities about the nature and impact of gang violence. Most of all, it is putting a human face on those who have or still are participating in gangs and the people who have been tragically affected by gang violence. We invite you to view the following videos about the I Dream of an Omaha Where… project and share them with others as we all dream together of a better Omaha. I Dream of an Omaha Where . . 2 min promo – Preview of the film. I Dream of an Omaha Where (6 min. Promo) – Extended preview of the film. I Dream of an Omaha Where (15 min promo) – Ideal for presentations to civic and community groups. I Dream of an Omaha Where… (Short Version) – 20 minute presentation that focuses on the creative process of the project and the transformative power of the arts. This version would be most interesting to theaters and arts organizations. I Dream of an Omaha Where… (53 min) – Full-length version that premiered at Omaha’s Film Streams theater in October 2015 and won awards at various national and international film festivals. Omaha stories hit the silver screen. KMTV News Story. October 19, 2015. ‘I Dream of an Omaha Where…’ shares Holland center stage. KETV News Story. August 27, 2015. 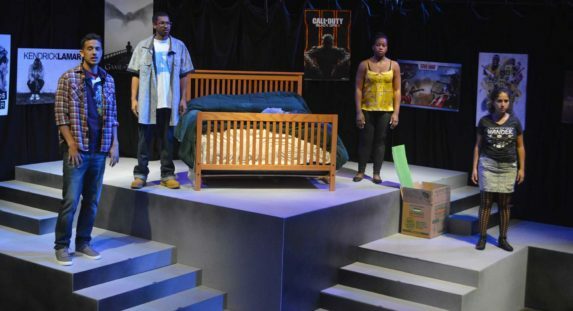 Play shares stories of local gang violence in community. WOWT News Story. August 5, 2015. ‘I Dream of an Omaha Where…’ connects grieving families, community.” KMTV News Story. July 30, 2015. I Dream of an Omaha Where website. In 2016, The Rose developed two theatrical productions. The first, Changed, looked at the impact teen pregnancy has on the lives of teens in our community. The second, In The Middle of Nowhere, worked with incarcerated youth, giving them a voice to share their thoughts and feelings about the events that led up to their current situation. We invite you to view the following videos about these projects and share them with others as we all work together to improve the lives of young people in our communities. The Rose Theater and Immigrant Legal Center (formerly known as Justice for Our Neighbors-Nebraska) have teamed with renowned actor, writer, director and activist Daniel Beaty and videographer Mele Mason to create a one-of-a-kind performance piece and documentary film that address the issues current DACA recipients face as their futures in this country remain uncertain. We are DREAMers features stories from young undocumented immigrants who have been protected from deportation under the DREAM Act and reveals the impact DACA has made on DREAMers and our community. We Are Dreamers from Mele Mason on Vimeo. DACA Short Version from Mele Mason on Vimeo. Home, a documentary focusing on the issues within the foster care system in Nebraska, will have a free premiere at Film Streams’ Ruth Sokolof Theater at 7:00 p.m. on Tuesday, May 15, in the midst of Foster Care Awareness Month. The film is the result of a unique collaboration between The Rose Theater, Daniel Beaty, Project Everlast, and videographer Mele Mason. HOME? A Study of Foster Care from Mele Mason on Vimeo.